Monocerotis light echo v838 – Drillworks. 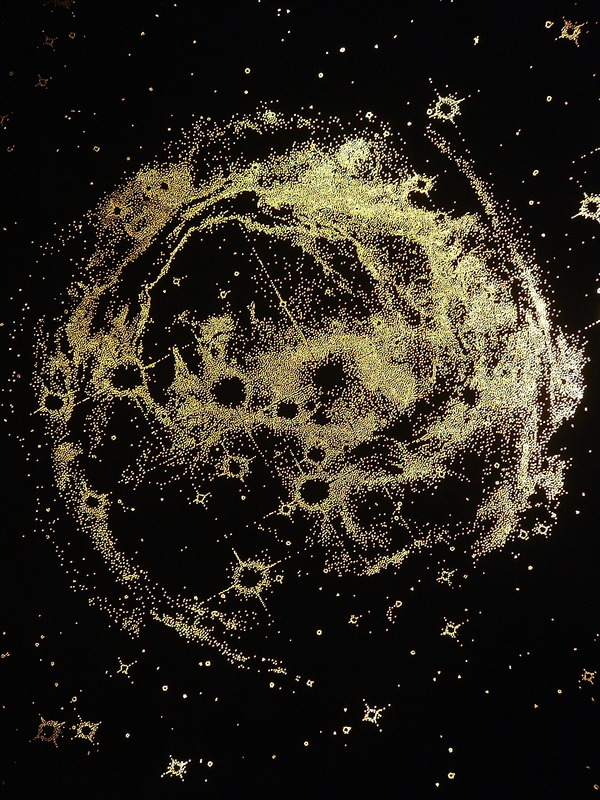 In the early 2000’s the Hubble telescope returned some now iconic images back to earth. 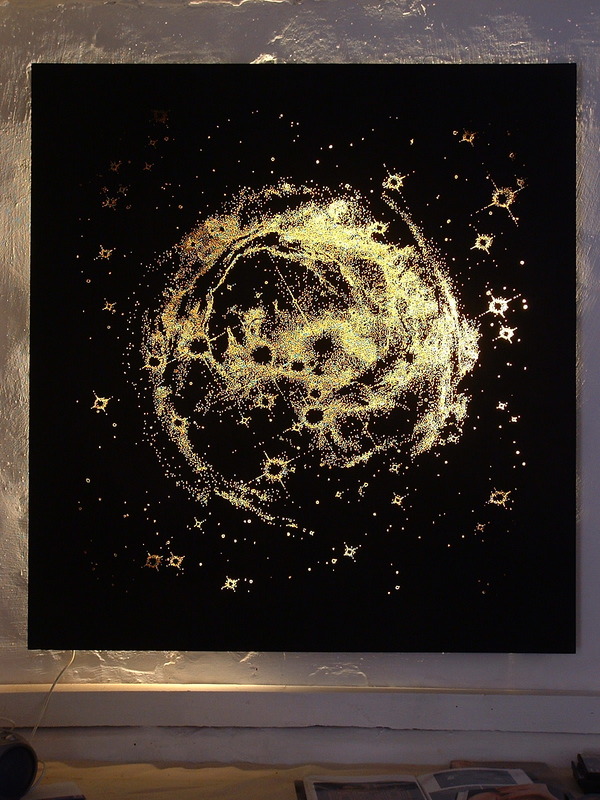 The image of an exploding star and the resulting expansion of dust, gas and light inspired this piece of work. The work is now in the collection of the Nature in Art Museum in Gloucestershire, UK.